Save on everything at Market Cross Jewellers with this exclusive voucher code. Market Cross Jewellers are renowned for customer service and exceptional value for money offering over thirty luxury watch brands and have many jewellery collections with each piece selected personally by either one of their buyers or the sales staff themselves. This offer is open to all TroopScout users: serving members, ex-forces and family members. 1. Click 'Get Code' to open the Market Cross Jewellers site and get your code. Starting out with their first store in 1980 in Guisborough, North East England, they’ve since, as one of the leading jewellers in the UK expanded to a dozen branches across North East England. 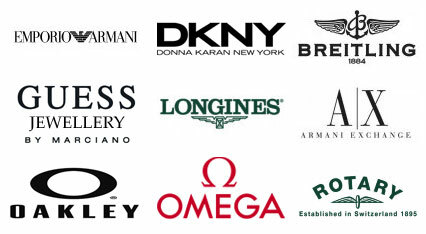 Over three decades strong in the business, they bring patrons a range of classic watches for men, women and kids, a few top names consisting of: Breitling, Tag Heuer, Cartier, Gucci, Longines, Omega and Rado. They also sell jewellery. Market Cross Jewellers give a highly comprehensive experience for customers. Whether one chooses to go to one of their stores or make an online purchase, they’ll be given the option of choosing a high number of variables for their watch purchase. What could be personalised is: watch material (stainless steel, 9ct gold, titanium etc); specialised features (world time, stone set, chronograph etc); watch type (automatic, divers, sports, Swiss etc) and dial colour. The jewellery range includes bracelets, bangles, charms, cufflinks, necklaces, rings and more, with the leading diamond jewellery range being Canadian Ice which has its diamonds mined from Canada herself. Market Cross Jewellers value giving the opportunity for patrons to purchase from a broad range of budgets, this way people have the opportunity to purchase watches from leading brands (including Rolex) at affordable prices. This is possible since people can also sell their watches to Market Cross Jewellers.